This week we're using the final version of Blogger's SoHo family of templates. It's a bit sad, this is the first family of blog templates we've actually liked, and it's really grown on us. Like all the SoHo family of templates, this one is similar. The darker colours don't quite work for our layout, and noticeably, the menu is tucked away - something we rather liked. The Wallpaper is changeable, as the current one really doesn't work for us. 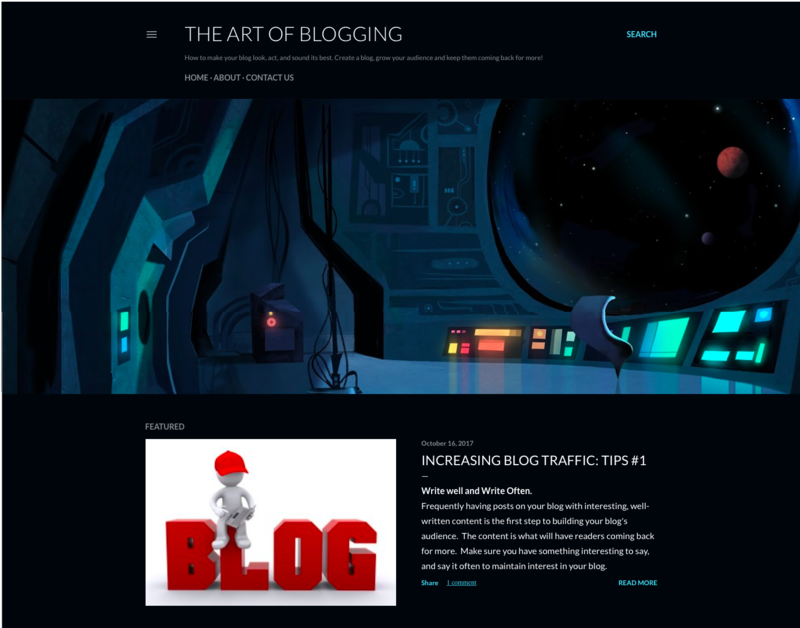 If you are thinking about running a SciFi-styled blog, this might be it for you.